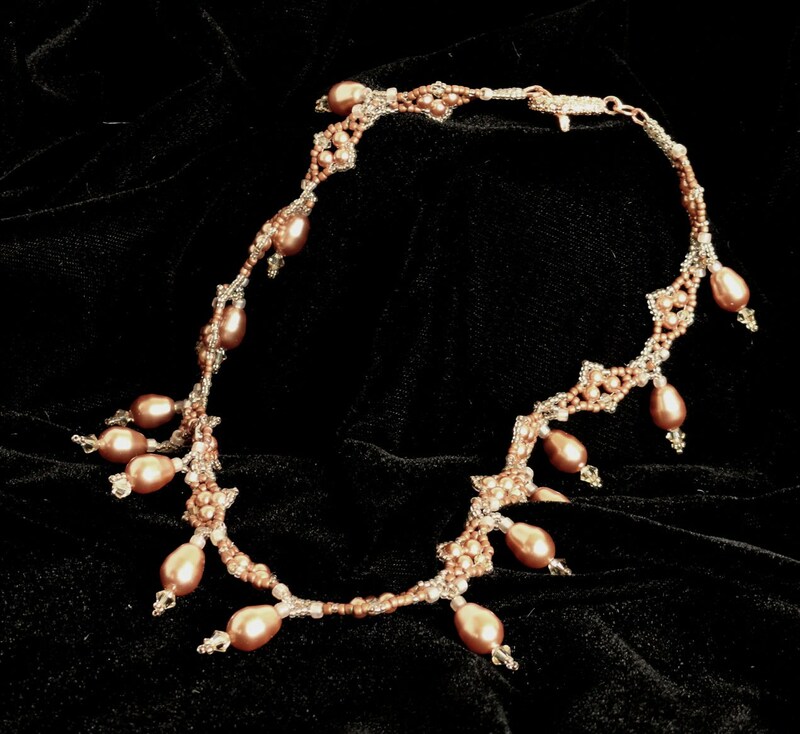 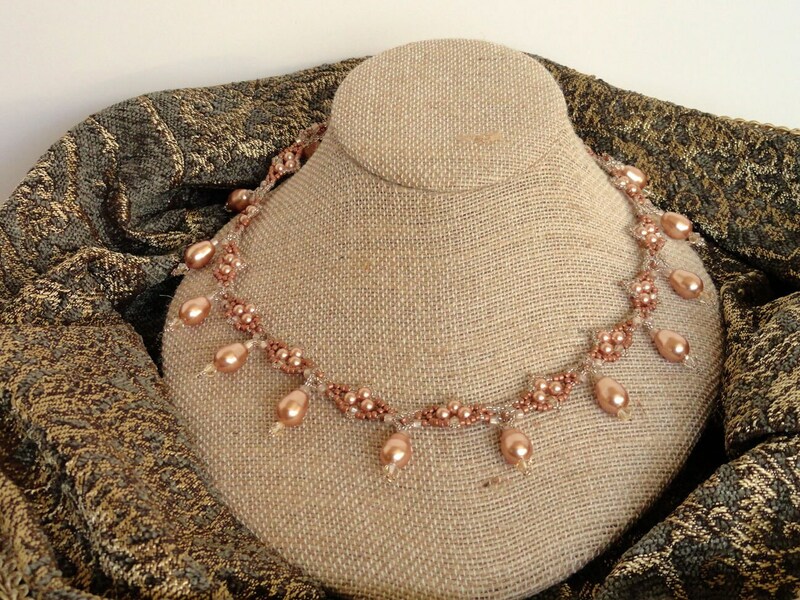 This elegant combination of Swarovski pearls of rose gold, Swarovski crystals, and copper seed beads are stitched using a right angle weave stitch in geometric sequences with pearl teardrops. 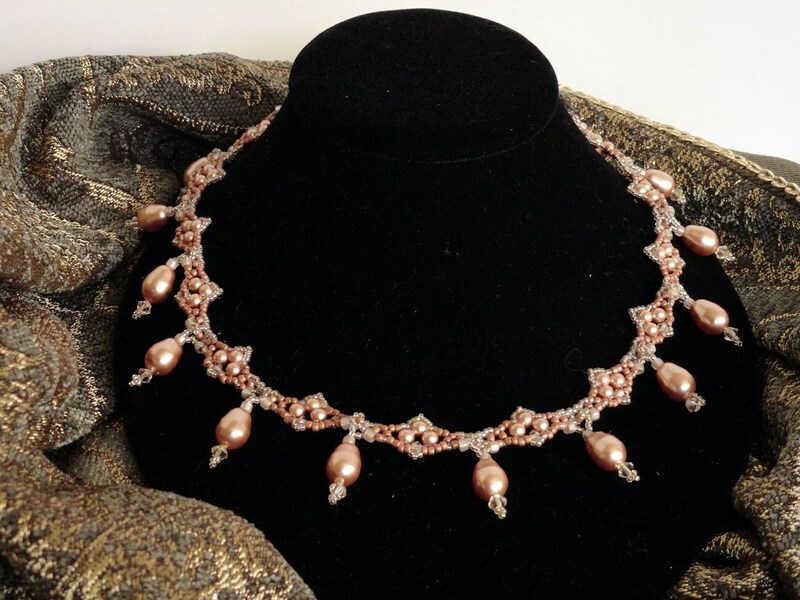 A rose gold pave crystal clasp ends the piece with sophistication. 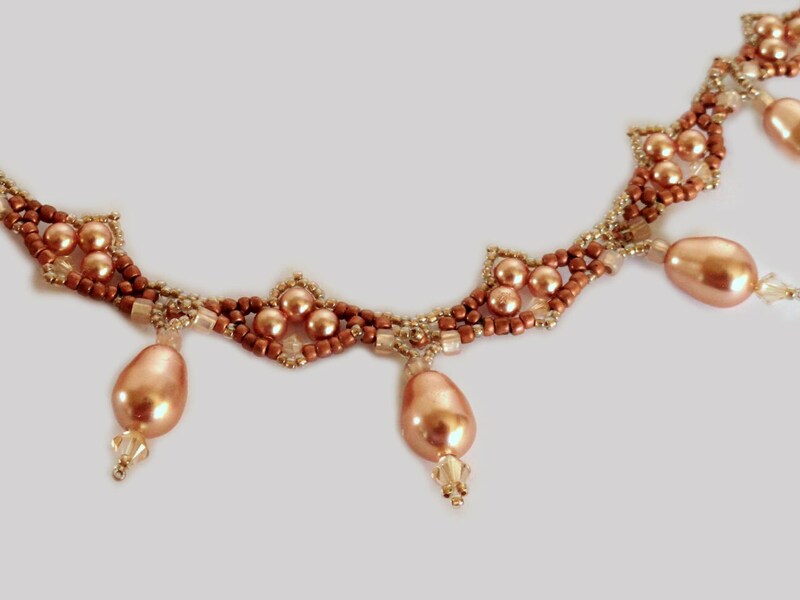 Design by Sabine Lippert.